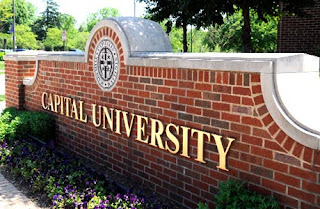 Capital University is a private liberal arts university of the Evangelical Lutheran Church in America located in Bexley, Ohio, founded in 1830. In addition to its rigorous liberal arts program, the university also offers a reputable adult degree program in Columbus, Ohio. 99% of first-year, full-time undergraduate international students receive some type of achievement-based financial assistance. The information you provide on your admission application serves as the basis for most scholarships and grants. Apply now for the best consideration. Your application fee will be waived. So it’s free and easy for you to apply! Award based on academic performance and standardized test scores. This tuition-based award is renewable if you are enrolled as a full-time student and your cumulative GPA is 2.00 or higher. Awards are made for a maximum of eight fall and spring semesters (four years) to students seeking their first undergraduate degree. 99% of transfer, full-time undergraduate international students (students seeking the first undergraduate degree) receive a transfer award based on the college transfer GPA. Your application for admission also serves as your application for all scholarship consideration. Transfers should apply by May 1 for the best consideration. Your application fee will be waived. So it’s free and easy for you to apply!